This project was awarded “Excellence in Construction” (EIC) Eagle Award for their work on the Nelnet Call Center in Lincoln, NE. Completed in May 2017, the new Nelnet call center headquarters is a 3-story, Class A office building consisting of 74,716 square feet. The project was developed by a partnership consisting of Speedway Properties, and Nelnet. The ABC Excellence in Construction Awards is the construction industry’s premier annual awards program, honoring Nebraska’s most innovative and high-quality construction projects and safety programs. 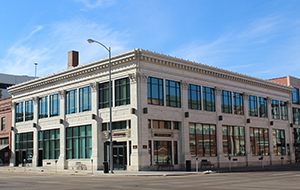 Nelnet, a Lincoln-based company that deals in the administration and repayment of student loans and education financial services, call center occupies the building. This building showcases Nelnet’s innovation and culture and is placed in the heart of the new Telegraph District. 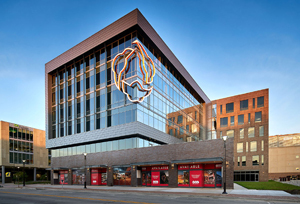 This project was awarded “Lincoln Development of the Year” at the annual CRE Summit in 2018. Completed in the fall of 2017, the new Hudl International Headquarters is a $35 million, 7-story, Class A office building consisting of 170,000 square feet. The project was developed by a partnership consisting of Speedway Properties, WRK, LLC, Nelnet, and Chief Industries and continues the redevelopment of Lincoln's West Haymarket, a former railyard area that has seen a dramatic transformation over the last several years. 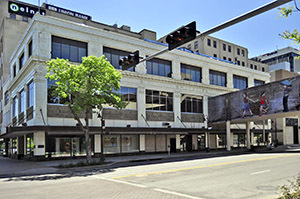 Hudl, a Lincoln-based video sports software company, occupies the top four floors of the building and Nelnet occupies the 2nd floor. The 3rd floor will have suites available for lease by smaller office tenants and the ground floor will be retail space. This building was designed to showcase Hudl’s dynamic culture and features many unique amenities including a partially enclosed seventh floor offering a company cafeteria, game room, rooftop patio, green space and amazing views of Lincoln’s downtown. In 2010, Speedway acquired the historic Sidles building at 1226 P Street which was originally built as an automotive garage. 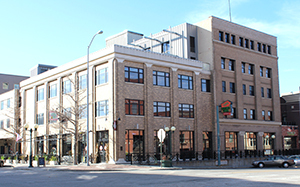 The ground floor and storefront was completely renovated and now includes two restaurant tenants – Topper’s Pizza and Lan House Asian Cuisine. The upper floors were converted to small one and two bedroom loft apartments catering to young professionals. The apartments have remained at full occupancy since opening in the spring of 2013. Borrowing from the building’s history as an automotive showroom, which at one time included the Buick and Cadillac brands, the apartments have been branded as the Cadillac Lofts and the back half of an old Cadillac hangs above the entrance. Speedway Properties won the Significant Development award from the Downtown Lincoln Association in 2011 for the creativity and hard work they put into redeveloping the former Salvation Army complex located at 8th and P Street. 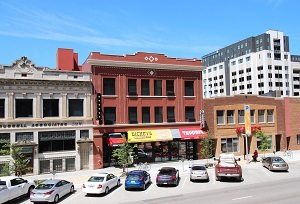 This complex is comprised of four adjacent buildings located in the heart of the Historic Haymarket District. The property was purchased in 2003 and the buildings were gradually redeveloped in phases over several years. Retail tenants include Ichiban Sichuan restaurant, Scooter’s Coffee, McKinney’s Irish Pub, and Rodizio Brazilian Grill. The upper floors of the complex serve as an incubator for local start-up and growth-stage companies providing them an opportunity to succeed and grow within the building. FUSE Co-working operates from the 2nd and 5th floors of the complex and provides an exciting, collaborative work environment for individuals and small companies within the local start-up ecosystem. This project involved the complete renovation of the former Standard Meat building and a substantial addition of attractive retail/office space along Van Dorn between 6th & 8th Streets. An attractive 22,000 sq ft flex building was also constructed at the rear of the site. Current tenants in this complex include the State of Nebraska Dept of Environmental Quality, State of Nebraska Health and Human Services, Line-X Bed Liners, Crossfit Lincoln, Starstruck Dance Academy, White Elm Brewery, and Ford Van Lines. 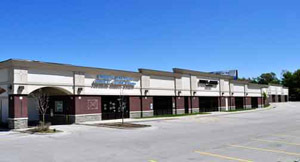 The 9,600 square foot Goodwill building was built new in 1999/2000. Previously a parking lot, this new building added life to the Near South Neighborhood when Goodwill relocated its store from South Street to this location on 17th Street. 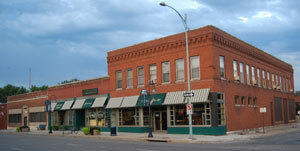 Speedway Properties was the only developer to participate in the South 17th Street Shops rehabilitation plan. The company also put new facades on three historic buildings that are a part of the South 17th Street Shops across the street which include two antique stores and a printing shop as well as 2nd floor apartments. 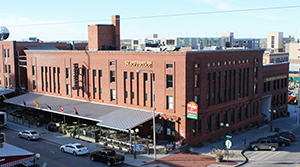 Located in the Historic Haymarket, the H.P. Lau Building was acquired by Speedway Properties in 1990 when the building was vacant. Originally built in 1904 by a grocery wholesaler, the building sat vacant for over 20 years prior to being redeveloped into a multi-tenant office/retail building. Current tenants include Buzzard Billy's Restaurant, El Potrero Mexican Restaurant, the Starlite Lounge, VS Arcade Bar, and MacPractice. This 75,000 square foot Star Complex was acquired in 1996 when four buildings were vacated by The Good News Broadcasting Company. The Star Complex was redesigned and completely renovated from an antiquated single tenant complex into Class A multi-tenant office buildings. Current tenants include Merrill Lynch, Nebraska Interactive, Powderhook, MyRacePass, Continuum Employee Assistance, and the National Council on Weights and Measures. The 30,000 square foot Magee Building had been 80% vacant for several years prior to its acquisition in 1995 by Speedway Properties. Renovation required complete demolition of 50% of the interior, creation of a new street entrance, redesign of the skywalk, installation of all new electrical, plumbing, HVAC, and new office walls. Current tenants include Pearle Vision, Bergren Architects, Youker Engineering, and Floor 99. Speedway Properties is a locally-owned commercial real estate investment company that owns, manages, and leases over 2,000,000 square feet of retail, office, and industrial property throughout Lincoln, Nebraska.